We live in a super-populated and polluted world. As the global population continues growing, the demand for more energy is becoming a pressing issue. And while burning coal and natural gas have long-been popular energy sources, the environment is suffering from their effects. But with the amazing innovation of a group of researchers at Michigan State University, energy may be becoming a cleaner, seamless part of life. 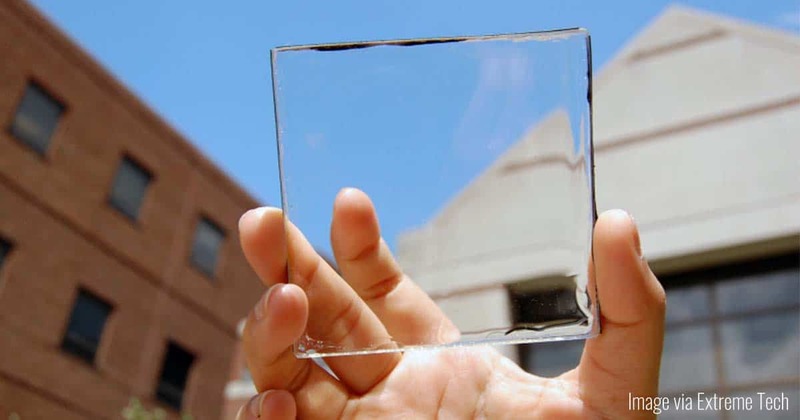 Introducing: Transparent solar cell panels. Solar cells are cells that make energy by absorbing sunlight. Most commonly, these cells are the backbone of the technology behind solar panels. When woven into specially-formulated sheets of silicon, the cells are able to absorb the electrons from the sunlight. Then, the electrons transfer junctions through the layers of silicon, creating voltage that can be harnessed through an external circuit. Typically, solar cells are not transparent. Because they traditionally have needed a material medium to conduct the energy-producing process, the human eye visually picks up on that medium. That's why solar panels are actually very visible and grey, and not the most popular choice aesthetically. 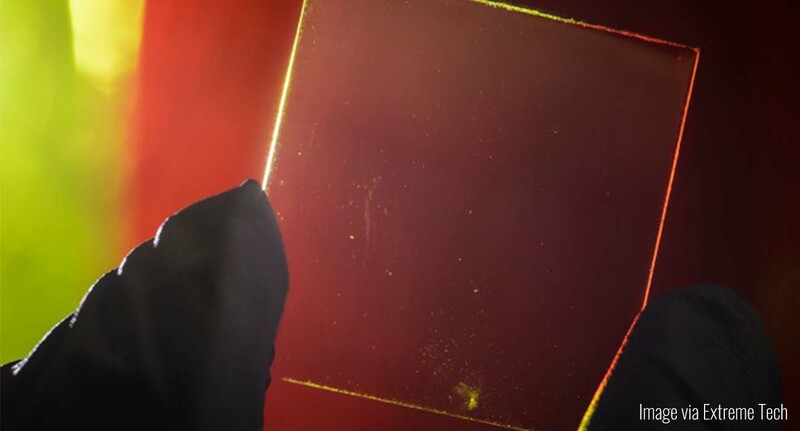 Plus, at best, solar cells and panels have only been partially transparent; Until now. With the transparent solar cell panels, energy can be harvested without changing the aesthetic of your home. Traditional solar panels are often large and obvious, making people less inclined to use them. 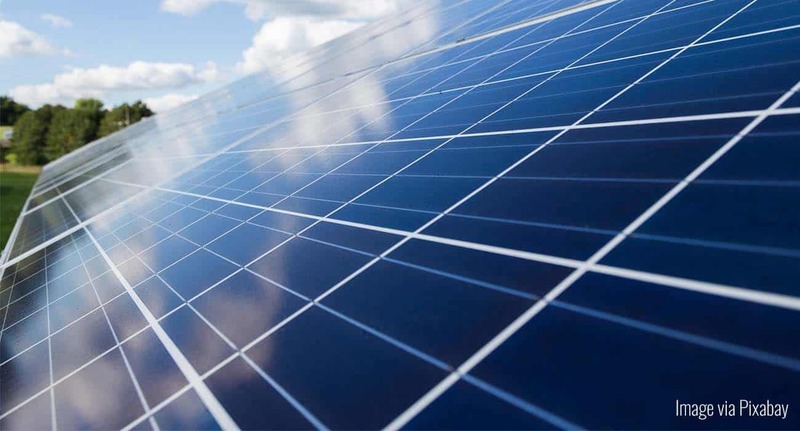 It has long been thought that solar cells have visual limitations. To make a transparent solar cell means getting around the natural shadow phenomenon that occurs when solar cells absorb electrons from sunlight. In order to get around this, the researchers introduce a transparent luminescent solar concentrator, or TLSC. The TLSC is made from organic salts, which absorb non-visible wavelengths, thus contributing to the transparent nature of the experimental panel. Once the electrons are absorbed, the TLSC creates an infrared light, which is invisible to the naked eye. The infrared light is then guided to the edge of the plastic sample, where it can be successfully converted into electricity. Fundamentally, all of the organic (natural) elements of the transparent solar cell experiment are transparent. The only visible element is a small group of black strips on the plastic sample itself. The transparent solar cell panel sample is still in the prototype phase, but researchers are optimistic about its commercial introduction in the upcoming years. As of 2014, the prototype was showing an energy efficiency of about 1%. Traditional solar panels max out at about 7%, but they also omit a distinct color into the space that they're used in. Right now, the transparent solar cell prototype is still just that: A prototype. But, the researchers behind the project, Ubiquitous Energy, are thinking big when it comes to implementing their panels commercially. Not only could the plastic panels be used on laptops and cellphone screens, but they could also become a great source of energy when used instead of traditional glass windows. Houses could reduce their energy footprint significantly, and if city buildings were to use these panels, the results could be astounding. Once the transparent solar cell technology becomes commercialized, it will be possible to generate energy through windows, laptops and cellphone screens. The world is certainly moving towards implementing more green and sustainable sources of energy. But the long-life of energy pollution is posing a huge threat to the environment, and one that needs to be addressed before it's too late. Take CO2 for example. 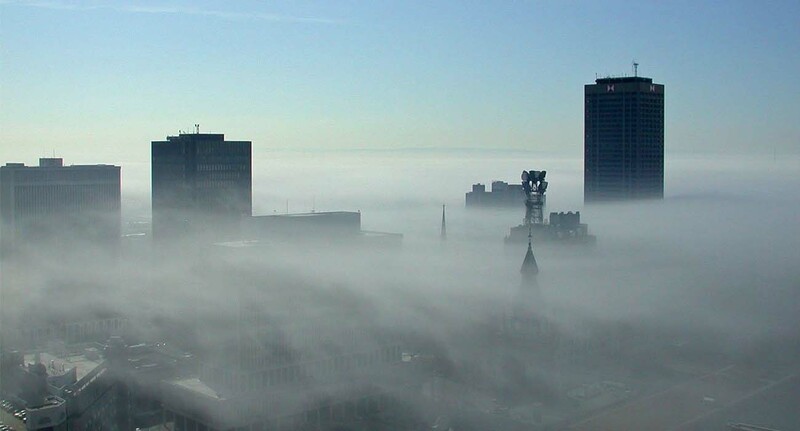 When released into the air, about 65-80% of CO2 ends up dissolving into the ocean over the timespan of 20-200 years. The remaining amount stays in the atmosphere, where it has the potential to stick around for thousands of years. If you heat, cool, or use household appliances, you're probably omitting more CO2 than you may think. Coal, oil, and natural gas are all the typical sources of power for your home, and each has its own negative effect on the environment. But what if you could cut down on the energy exertion coming from your home? What if by simply switching out your window material, you could cut your energy bill down and help the environment? If implemented on a large scale, the solar cell technology could make a huge difference on pollution levels globally. With the current prototype, the energy-saving potential is somewhat minimal. Yes, it does have energy efficiency of 1%, but thinking in practical terms, it isn't much. You wouldn't be able to power your laptop indefinitely from a transparent solar cell screen, but it could buy you a few more minutes of battery life. Similarly, you probably wouldn't be able to heat your entire home with the energy harvested from their transparent plastic windows. But, it could cut down your expenses and carbon footprint. Right now, the prototype may not be as efficient as some would have hoped. Instead of dwelling on this, we should be looking at the potential. Think about it; Researchers have managed to make the concept a reality, because the prototype does do what it is designed to do. With more research and design, we can only expect to see improvements in the prototype and increased energy efficiency. Over the next few years, keep your eyes out for advancements in the arena of solar power. For now, try and be as energy efficient as possible, and be mindful about your own carbon footprint.